Any of us in his life adhere to a particular rhythm. Someone he is mad, some steady, others slow. 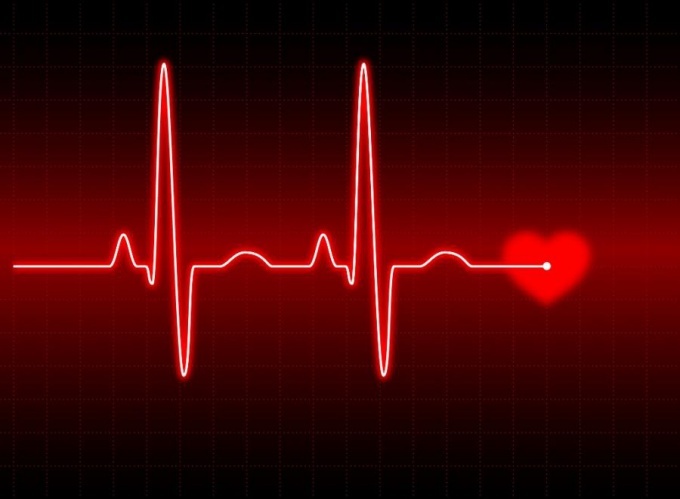 It is important to measure the rhythm of life with the main metronome of the body and soul — heart. If you miss this important point, then have to spend a lot of time and effort to restore the heart rhythm in which the organism can live comfortably. Arrhythmia is irregular heartbeat, which manifests itself in the form of disruptions of the heart either frequent or infrequent heartbeat. The causes can be varied. Ranging from a few cups of coffee and tea, for example, at Breakfast, either hard liquor or smoked cigarettes daily, that excite and affect the conduction system. In the end, all this can lead to such serious diseases as coronary heart disease, myocardial infarction, cardiac failure, severe arterial hypertension. A big role in the rhythm can play non cardiac disorders on the background of thyroid gland diseases, diabetes mellitus and receiving different drugs. Fatigue, viral infections, myocarditis and degeneration, damage of thyroid gland, congenital heart diseases, stress etc. may cause arrhythmias. What complications can be if arrhythmias. How to treat it. If the violation ramavatara with atrial fibrillation (one form of violation of rhythm of heart contractions, which is based on a disorder of the sinus node activity), the result of a bad pulse generation occurs spasmodic contraction. In this case, the heart can be compared with the work of "ayasli-rolls". While beating eggs formed a thick mixture. Exactly the same happens with the blood in atrial fibrillation. One of the serious complications of this arrhythmia is that the result is irregular heart can cause clots. But if in the heart a clot formed, it can penetrate any location of the body. In the head — will develop thromboembolic stroke, in the leg — thromboembolism of the limbs. For these patients we prescribe special drugs (anticoagulants), which thin the blood and are a good prevention of blood clots. Another complication is heart failure, which also occurs in violation of the contractility of the heart muscle. A patient complains of dyspnea, edema, impaired quality of life. The danger of ventricular arrhythmias is that it can happen very formidable complication is ventricular fibrillation (a form of arrhythmia) and clinical death. For the treatment of tachycardia and other rhythm disturbances use a high-frequency catheter destruction. It involves performing electro-physiological research, evaluation of sources, which cause the arrhythmia and its ablatio (method of treatment). First rhythm disturbances should consult a doctor to determine threat or not. If benign, then there are General recommendations on the normalization of lifestyle, the purpose of restorative medicines, vitamins. You should know that antiarrhythmic drugs are serious drugs. They should only take on the recommendation of the attending physician.